Sometimes great shows come along and steal my heart. 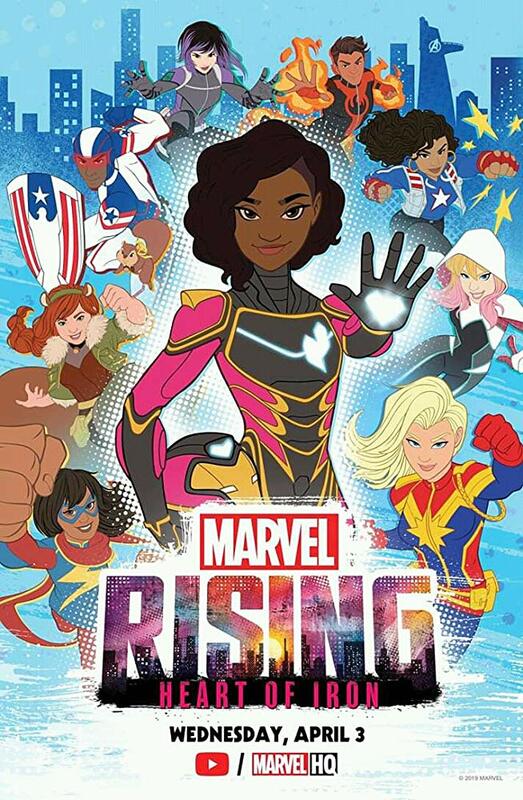 The animated series, Marvel Rising is one of those shows. This show is sure to entertain every age group; it is funny, smart and full of heart. The best part is how culturally diverse the characters (and the actors) are in the show. There is every shape, size and color seen in this show and I love it. We at WNA were lucky enough to sit down with the talent behind some beloved superheroes! (Was it just me, or did anyone else ask, “Where’s Squirrel Girl?”, during Infinity War?) Marvel Rising: Heart of Iron can be seen on the Marvel HQ YouTube channel. Milana Vayntrub considers herself to be Squirrel Girl, after talking with her–I totally agree and I’m ready for her to be in the live action movie! (I really want this to happen!) The love she has for this character shines through in the show and in the interview. Kathreen Khavari talks about Kamala’s (Ms. Marvel) compassion, how she portrays that through voice acting and how it is different than screen acting. Sofia Wylie talks about bringing Riri Williams (Ironheart) to life for the first time in the Marvel animated universe and how her dream job is to portray her in a live action film. Look at her! Is she not Riri? She would be perfect! Kamil talks with us about how he thinks Rayshaun Lucas (Patriot) sees the world and how a viewpoint that was rather black and white is evolving as the stories progress. Cort loves the Marvel Universe. He truly understands and nerds out just like the fans, he is the perfect person to be in charge. Cort discusses how the Marvel backstories, like Riri’s are made more approachable to all ages. Without saying it, he totally told use that Shuri would be joining the Marvel animated universe. I was excited about Riri, but Shuri?!?! I’m over the moon–speaking of the moon….Moon Girl, anyone?